Our dental offices are equipped with the most modern specialized stomatology devices, which allows us to improve the result of treatments, shorten the time spent “in chair” and enhance the comfort of the patient. The highest quality Europian product with the full support of the manufacturer with the longest history of producing CBCT in the world. NewTom GiANO is one of the best panoramic OPG devices for diagnostics. 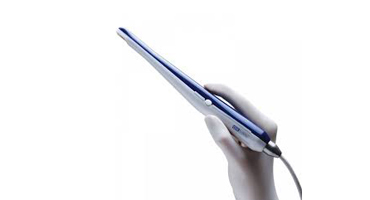 It is better than the other devices in the hybrid (2D and 3D) X-rays segment. 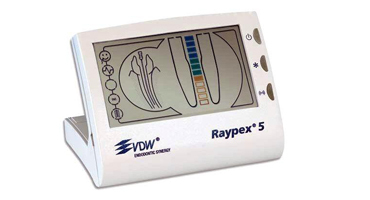 It has ultra low radiation dose due to technology SafeBeam ™ while maintaining high image quality. SafeBeam system automatically adjusts the radiation dose during examinations. According to a study reduces manual errors when choosing the patient size and exposure by 60%. 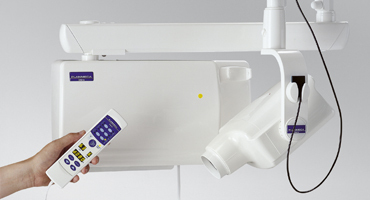 The producer is Finnish company Planmeca, currently a leading company in dental radiography. Roentgen produces high quality intraoral image with minimum of radiation affecting the patient. Sensitivity of modern image receptors (films and particularly digital sensors) is increasing and much lower radiation is needed to produce quality image. 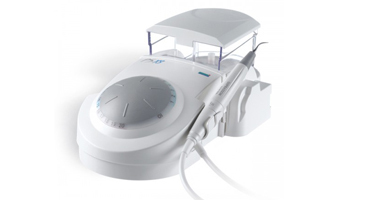 Intraoral camera C-RAY was developed to provide dentist with and effective tool for communication with patient. Automatic sharpness setting doesn´t disturb the operator, who can fully concentrate on the communication with patient. The dentist or hygienist obtains and effective tool for communication and motivation of the patient and also full-fledged documentation devise of the treatment process. root canal treatment. Whole treatment of root canal is done with one tool only. Treatment process has fewer individual steps and is economic and effective also for strongly curved or narrow canals. 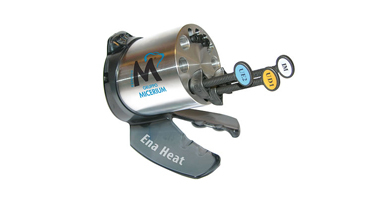 Tools are made of “M-Wire Nickel-Titanium” (which has better elasticity and higher resistance to cyclic fatigue). Treatment is thus faster and more convenient. 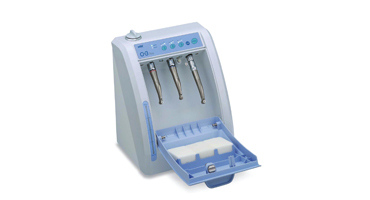 The most powerful and most efficient air-polishing unit removing dental plaque and pigmentation on the market. Dental hygiene procedures cannot be performed without it. With a help of this device, dental hygienist will not only clean your teeth, but also safe your precious time. Provides warm 3D obturation for homogeneous filling of the whole root canal, specifically for RECIPROC system. The most effective and fastest 3D root canal filling on the market. Device for precise length determination of root canals with autentic image of the whole root canal. Based on colour-tuned enlarged projection of the apical section, it is able to locate the end of root canal exactly. 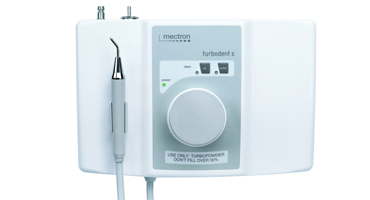 It precisely displays the movement of the instrument on the whole length of the root canal; additional acoustic signal accompanies visualisation. Pentamix™ Lite is the most modern device developed by 3M ESPE Company for automatic mixing of impression materials, which are used in prosthetics for preparation of dental crowns and bridges. It consistently provides homogeneous and void-free mixing of impression materials, performing repeated quality. The procedure is fast, time saving, able to dispense just the exact amount of material needed. It is hygienic, clean and effective, filling directly the tray or syringe. The world’s best-selling ultrasonic device made by Satelec®. LED technology provides bigger mobility, higher performance and bigger precision against the competition. All-purposed clinical devise (used in periodontology, endodontics, prophylaxis, implantology), which is minimally invasive. Heats the composite (white filling) to 39°C, which improves marginal integrity and reduces the leakage of material. It also reduces the pressure while the composite is being squeezed out of injection and eases the stratification. Heated composite reduces the risk of component separation, enhances the biomechanical attributes of material and prevents the formation of bubbles. We use it for Italian Enamel Plus HFO, which is often called a composite of third millennium. Automatic cleaning system for rotary devices.